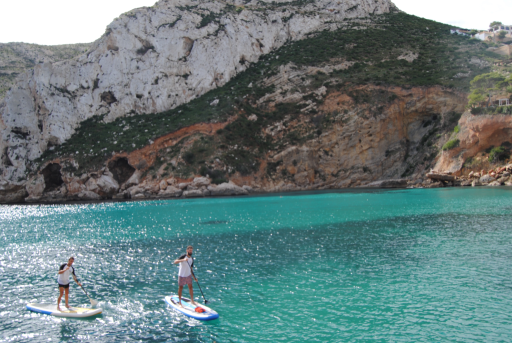 Amazing paddle surf tour on the Mediterranean Sea! 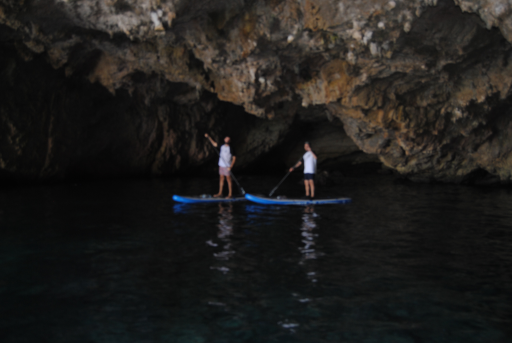 - ROUND TRIP SERVICE PLACE OF ACCOMODATION - CALA GRANADELLA - PLACE OF ACCOMODATION . 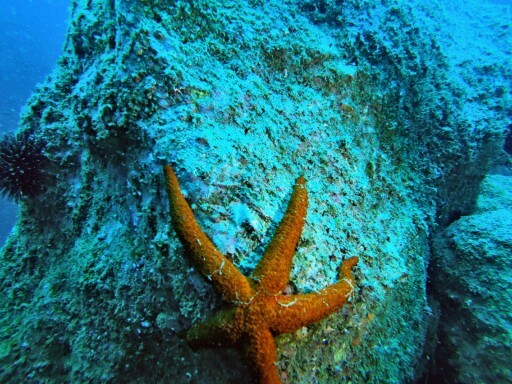 - PADDLE SURF BOARD AND LIFEJACKET RENTAL. PRICE: 69€ PER PERSON (minimum 2 people). * Suplement for typical local food 20€ per person. 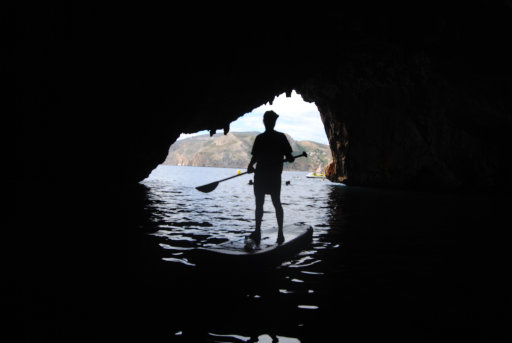 The trip will begin in Cala Granadella (Jávea), towards the Isla del Descubridor (heading northeast), passing through the cliffs of Morro del Pino and Torre Ambolo. Throughout the tour we will see the cormorant nests in the nooks of the cliffs. 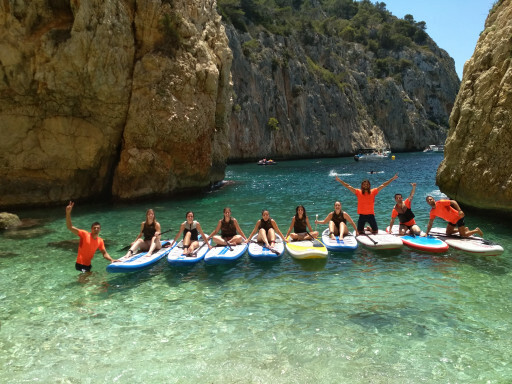 After 25-30 minutes of navigation, we will arrive at a small cove where we will leave the boards to swim to La Cueva de las Cuatro Entradadas. Here we will enjoy the Emerald Pool that is hidden inside. 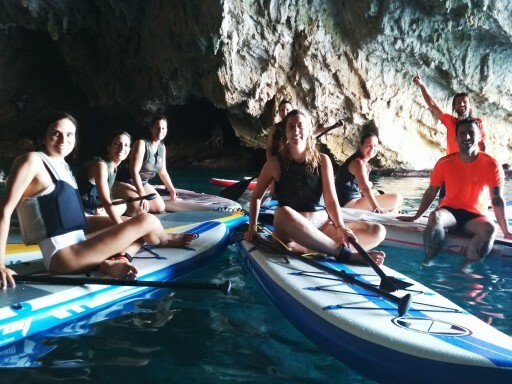 Before leaving, we will have fun doing some snorkeling in the cave to observe the spectacular marine life that lives in this beautiful place, Jávea. 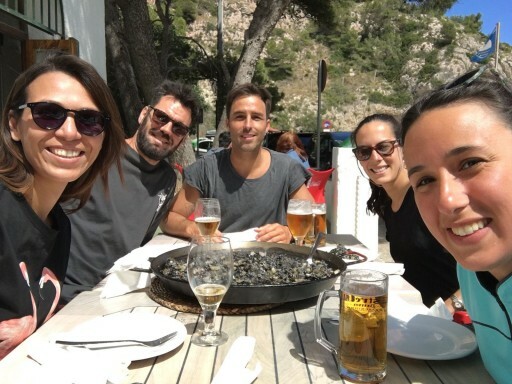 La Cueva de las Cuatro Entradas is not the only treasure we are visiting, before leaving, we will visit La Cova del LLop Marí, where we will enter navigating on the boards to finish the water route with this impressive natural attraction and we will be enjoying a delicious typical Valencian meal.